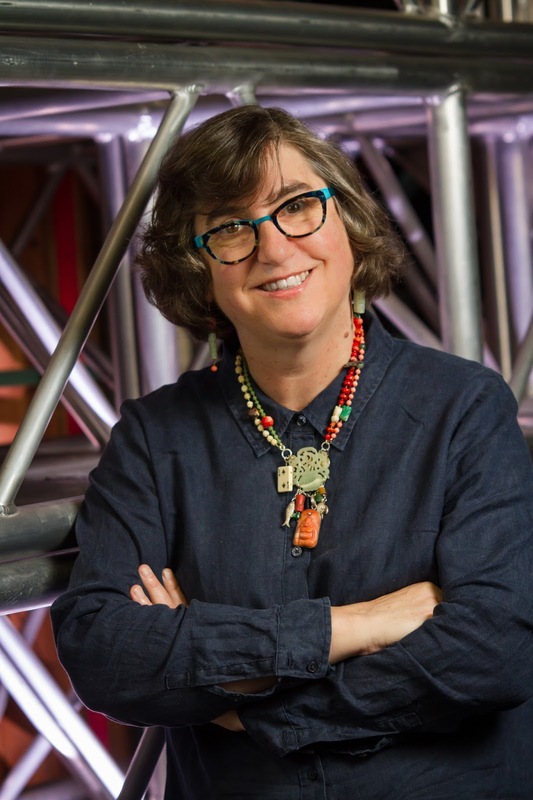 Officially the general director’s executive assistant since May of 2000, Mary Brazeau had unofficially been a part of Seattle Opera—as a volunteer—since the first Ring in 1975. Now, she can field most questions that come her way about the general director—from his whereabouts to his favorite type of chocolate. But don’t come asking during Seattle’s International Film Festival because she’ll be in a dark theater, probably watching something in Danish, attempting to beat her record 99 films. How has the transition been going to Aidan’s leadership? You have the inside scoop! The transition has been going very smoothly. It really has. It’s been great to have Aidan here since March. In August I took him to his first baseball game! He’s been doing a wonderful job, really getting a sense of how we put it all together, so he’ll know how he wants to work. He’s been very easy to work with, and he’s got very exciting ideas. It’s a very different take, a different approach, and I think it’s going to be great. Is there anything you’ve learned about Aidan that people don’t know? He has a pretty broad knowledge of pop culture. Last December when we were in New York for auditions and we were at the Met, Aidan came running up to me and he said, “I can’t wait to tell my wife and daughter a star from Project Runway is here tonight!” That kind of thing wasn’t on Speight’s radar. So it’s really kind of fun! Have you been in touch with Speight since his retirement? Several e-mails a day! He’s having a wonderful time. He’s finally studying German seriously. He had learned German from studying Wagner, which can get you in real trouble—it’s archaic and you sound pretty goofy, talking like that. How did you first become involved with Seattle Opera? During the crazy wonderful madness that was Glynn-Ross-putting-on-the-Ring, the company needed any living body to help. So I sold T-shirts in the lobby. And there was no looking back. When Speight first started having cast parties in his home, my mother and I would cook the food. Any kind of odd job. You were well-prepared for the job you ended up walking into! What else does your position involve? Because we have very capable staff in each department, I focus mainly on the general director and his needs. I do scheduling, I do travel planning—recently Aidan has been traveling more in the United States because he needs to meet and get to know the people in other opera houses here—and I issue contracts. But you never know what’s going to come up, so it’s all about identifying needs and filling them. Do you have to become a mind reader? It’s a good idea! Learning to anticipate is a real key. You have a long history with the opera Don Giovanni, correct? Yes, my father was a super in the production with Sherrill Milnes in 1979. I love this opera. It’s my favorite Mozart. Maybe it’s just because I’m a Scorpio and I’m intrigued by the whole anti-hero thing. And I love the music. If you’ve got a good Don, it’s so much fun. I will never forget the Don Giovanni with Dale Duesing that was so controversial. I loved that production. One of my absolute favorite moments in that production was when Sheri Greenawald, who was fabulous, sang Donna Anna’s big second act aria. The set had all these knocked over chairs everywhere, and as she was singing about pulling herself together, she walked over and just set a chair upright, and at that moment, I remember gasping because that one little act encapsulated her need to put her life back in order. Even now I’m getting chills thinking of that moment. It was so perfect. This Staff Chat first appeared in Seattle Opera’s program for Don Giovanni in October 2015.